The floodgates have opened now that the iPhone 8 is in mass production. 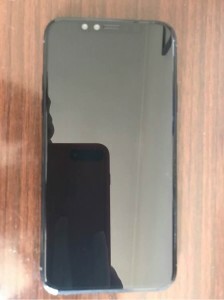 It didn’t take long to get what has to be the first clear photos of the upcoming bezel-less flagship, both front and back! 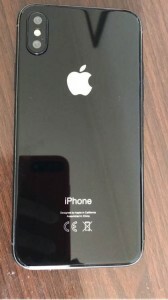 Speaking of the back, there’s no fingerprint here. None on the front either. There’s no photos of the sides, but it’s probably a “no” there as well. That leaves the facial recognition in charge of Apple Pay. 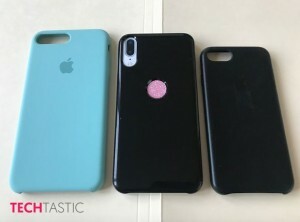 This photo showing an iPhone 8 case opens a possibility – the round hole (with a stylized fingerprint in it) is right about where the Apple logo would be. That could be wishful thinking, however. Still, it’s preferable to having the fingerprint on the back, wouldn’t you say?